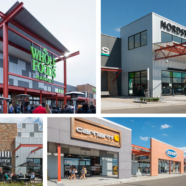 Mayfair Collection area in Wauwatosa advances with $20 M in City cash | Vandewalle & Associates, Inc.
WAUWATOSA, WISC. The next phase of Wauwatosa’s Mayfair Collection mixed-use development is ready to proceed, with the city agreeing to pay about $20 million to advance the project. The terms of the agreement outline and provide infrastructure support for the creation of seven development sites that can accommodate up to 750 residential units and 360,000 square feet of office space. Specifically, the terms provide for the demolition and environmental remediation of the remaining warehouse buildings on the interior of the development site. They also provide for the extension of roads and other infrastructure necessary to support future development projects. Demolition work is slated to begin this summer, with pad-ready development sites available as soon as spring 2020.